Q] How did this film do at the box office? Obnoxious animated feature about the title good guys, who defend the universe against an evil planet (which has a voice of its own... provided by Orson Welles.) That deafening rock score certainly doesn't help. Little more than a feature-length toy commercial. Transformers: The Movie put the franchise into a downward spiral which it would never really recover from until 10 years later, when the Beast Wars toyline was released. Q] Why do characters suddenly die in this movie? They never died in seasons 1 and 2? A] Because the writers just thought it would be awesome, from what I can tell. Hasbro would give the writers lists of characters to use or not use, and I guess the writers thought it would be a oh-so-brilliant idea to kill off old characters who no longer have toys on the shelves. Because I'm sure kids would just love watching their toy collections get wiped out in front of their eyes, and are then expected to buy new ones. Whilst the movie features several deaths, early scripts and storyboards have even more characters getting killed off, such as Gears, Red Alert, Trailbreaker, Shockwave and more. Q] Do dead characters come back in later Transformers episodes? A] Most of them do, some of them even appear in the movie itself! 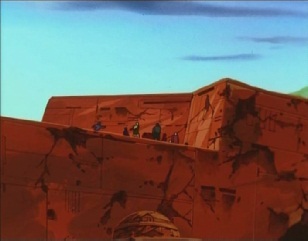 Kickback, Thundercracker and Skywarp are at Starscream's coronation, whilst Shrapnel later appears on the Planet of Junk. 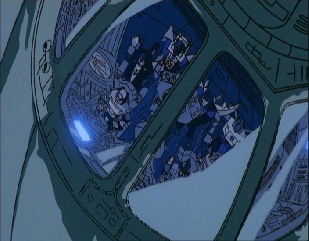 The Insecticons appear in some of the "Five Faces of Darkness" episodes, Brawn makes an appearance in "Carnage in C-Minor" whilst Windcharger has a cameo in "Call of the Primitives". These appearances are most likely errors. Starscream returns as a ghost in "Starscream's Ghost" and "Ghost in the Machine". Optimus Prime was revived due to fan demand in a two part end of season special, "The Return of Optimus Prime". In The Headmasters, Prowl appears in a couple of the early episodes, whilst Ironhide makes a cameo in "Miraculous Warriors, Targetmasters (Part 1)". In Victory, Wheeljack makes several appearances, including some where he speaks. No explanation is given for why he is alive. Q] Are there any deleted scenes? A] So far, only a small amount of deleted footage has been found. It was included on Metrodome's "Ultimate Edition" release, and is part of a test reel showing some early and unfinished footage from the film. 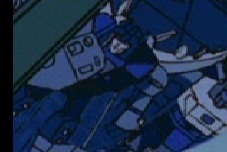 The deleted footage in question shows Astrotrain taking off and leaving Autobot City, and the camera then zooms in to the top left corner to show an Autobot running towards the fallen Optimus Prime, who is surrounded by other Autobots. There may be other deleted scenes, but none have been found as of yet and there is no concrete evidence that any actually exist. Q] Why is Snarl absent from the Dinobots? A] The script refers to the Dinobots as "the four Dinobots" at one point, which hints that the writers made an error about how many characters were in the team. Snarl, who transforms into a Stegosaurus, makes a couple of brief, non-speaking cameos in the film -such as when the Quintesson ship lands on the Planet of Junk -but is absent for the most part. It just seems this was an error, as the entire team appears together in several episodes of the third Transformers series. Q] Is there a version of the film where the body of Optimus Prime crumbles to dust? A] Some fans claim that there was a cinematic version of the film that had this happen, but it is extremely unlikely such a version exists. Neither the script or storyboards mention that this was supposed to happen. 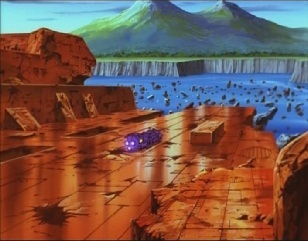 This scene is a Transformers urban legend. Q] Why do characters who don't speak get featured in the credits? A] Certain characters -sucn as Prowl and Dirge -are creditited to voice actors in the credits, but these characters do not speak in the film itself. However, they did have lines in earlier scripts, so this is just a error. The weirdest thing in the credits is the fact that Walker Edmiston is credited for Inferno's voice, even though Inferno never shows up in the film, and isn't mentioned in any of the earlier scripts, either. Q] Where is Blaster after the shuttles take off? 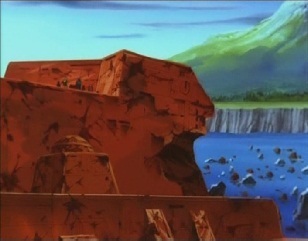 A] He remaining behind at the city, apparently. An early script had a sub-plot of him leading some guerilla operations against the new Decepticons, but this isn't featured in the final cut. Blaster does show up fine and well in season 3, and in the first few episodes he is at Autobot City.